There are so many posts about Black Friday in the Blogosphere and I can't resist adding my own! I'm not going to list every Black Friday offer, instead I am going to talk through the ones that I am personally tempted by - the ones that offer the best value on brands I love. I think that the best way to approach Black Friday is to only buy products that were already on your wishlist rather than buying lots of products just because they are reduced - just because something is cheaper than usual, it doesn't mean that you will love it or use it. Stick to what you really want! Omorovicza: My favourite skincare brand has 30% off full size skincare products until Tuesday 27th using the code BLACK. I posted about my top five picks from the brand here. I plan on buying a back up of Ultramoor Mud Mask as I recently finished another pot. L'Occitane: Instead of Black Friday, L'Occitane are calling it Yellow Friday with 20% off all full size products. Gift Sets and Advent Calendars are excluded. I'm going to get a back up of Almond Shower Oil because it's brilliant for winter, in particular, because it keeps my skin nourished and supple. MAC: They're offering 20% off everything using the code BLACKFRIDAY20 at the checkout and a free mascara on orders over £45. I always have a few MAC products on my wishlist! Cult Beauty: I scroll the 'new in' section on Cult Beauty daily so I love that they are offering a discount that varies on how much you spend so you can use it sitewide rather than just on specific brands. The codes are BLACKOUT15 for 15% off orders of £20, BLACKOUT20 for 20% off orders of £100 and BLACKOUT25 for orders of £250. I always have a wish list so am bound to tick a few products off that! This Works: I've mentioned numerous times that I use a Pillow Spray every night so I'm going to buy the Super Size Deep Sleep Pillow Spray, which is reduced to £18 from £24. The White Company: There's 20% off sitewide using the code WHITE20 so I have ordered a large White Christmas candle, which I had two years ago and was obsessed with. I also ordered a Fleece Romper for my nephew because my brother said that zipped rompers are so much easier and quicker to use when changing the baby plus they're cosier as buttons pop when he wriggles! This fleece one is sure to keep him warm in winter. Charlotte Tilbury: There is a new deal every day this week on the Charlotte Tilbury website. I personally have my eye on the Instant Look In a Palette, which is reduced to £29.40. Also, on orders over £75, there is a free bottle of Charlotte's perfume; Scent of a Dream. Look Fantastic: The first thing that I have to mention is an amazing deal, which is their Advent Calendar and Molton Brown Limited Edition Beauty Box, all for £95! I reviewed the Beauty Box here and the Advent Calendar here. They have a combined total value of over £370 so the price is amazing value. In addition to that, there is 30% off selected GHDs, 40% off selected Urban Decay products and 33% off Kérastase, Also, use the code BF25 at the checkout for a 25% discount. Feel Unique: There are different deals every day on Feel Unique. Some of the best ones are 40% off selected Anastasia Beverly Hills products, 20% off theBalm, 1/3 off selected YSL products and 1/3 off La Roche Posay. Also, if you spend more than £100, you receive a free gift! Cloud 10 Beauty: They have a brilliant 30% off EVERYTHING!! My favourite picks are the Stila Christmas gift sets, Emma Hardie Gift Sets and Murad Ultimate Hydration In A Flash Gift Set. ASOS: ASOS have 20% off EVERYTHING! The code is HELLO20. They stock Nars, Laura Mercier, GHD, Pixi, Alpha-H, Bobbi Brown, Dr Dennis Gross and many more amazing brands. I have my eye on Laura Mercier Almond Coconut Body Set and possibly some new clothes as I haven't bought any in quite a while! Illamasqua: There is up to 50% off everything on the Illamasqua site plus an extra 5% if you use the code SIOBHANCYBER. Their sale goes live tomorrow and that code will be valid all weekend. If you have dry skin, I can highly recommend Hydra Veil Primer and a stunning highlighter is Beyond Powder in Deity. Sass & Boho: For candles that are right up there (if not exceeding) Dipytque and Jo Malone in terms of the fragrance they give off, you can't go wrong with Sass & Boho. The diffusers last for 6 months - better than any others I have tried! This weekend, there is 30% off everything using the code BLACKFRIDAY30 at the checkout. 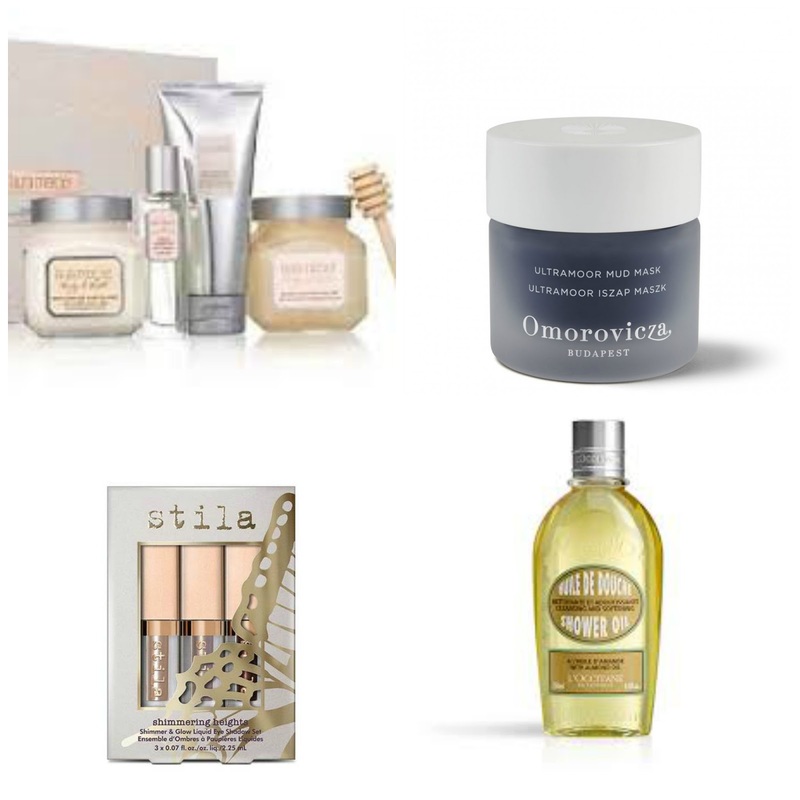 Beauty Bay: Unless you have been hiding under a rock, you will have noticed that Beauty Bay have had a massive sale going on for the last 10 days or so and it continues with massive discounts. My personal picks are the Anastasia Beverly Hills Glow Kits, reduced to £24.60, Violet Voss Holy Grail eyeshadow palette, reduced to £30.09, Zelens Triple Action Eye Cream, reduced to £56 and Oskia Perfect Cleanser, reduced to £22.74. There are so many amazing discounts that I could easily do a whole post on Beauty Bay alone! Molton Brown:There is a 25% discount sitewide and no code is needed. On my personal wishlist is the Muddled Plum candle as I adore the scent and I might buy an extra for a Christmas gift! Read my review on the collection here. Are you planning on treating yourself to anything? I'm also hoping to get the bulk of my Christmas shopping done over the weekend - may as well take advantage of the discounts while I can!